I hope you all are having a wonderful week! We are in our 4th week of the blogger collaboration (6 Bloggers + 6 Fall Trends = 6 Weeks of fabulous fashion inspiration) and this week we are sharing with you, one of my favorites for the season... PLAID! When we first started this collaboration, plaid was one of the trends I was most excited about for many reasons. One, its perfect for holiday...two, I could showcase my favorite skirt from Zara (which I can't believe I haven't shared with you before)... and three, the 4th week lined up perfectly with my return from London. And lets me honest, outside of Scotland, London is the perfect place for plaid! 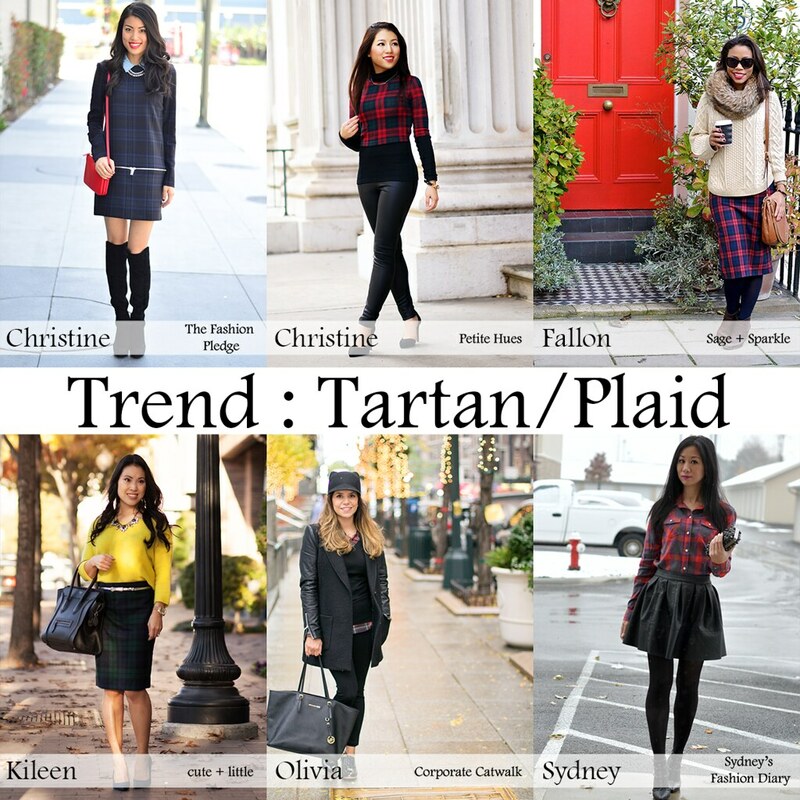 Especially if you plaid incorporates the color red; everywhere you go, you'll coordinated with the city! (see: red door, red bus, red telephone booth). This outfit was perfect for London! Casual yet chic, while being comfortable and functional without having to look like a tourist (a huge no-no for any jetsetter like myself). More on London AND Paris later this week and into next... but in the mean time, be sure to check out how the other ladies styled this fall trend.